OCCUPIED JERUSALEM, (PIC)– A recent Zionist report said that the Palestinians in the occupied city of Jerusalem will form a majority in 20 years time despite Israeli occupation policies since 1967 to ensure a Jewish majority in the holy city. 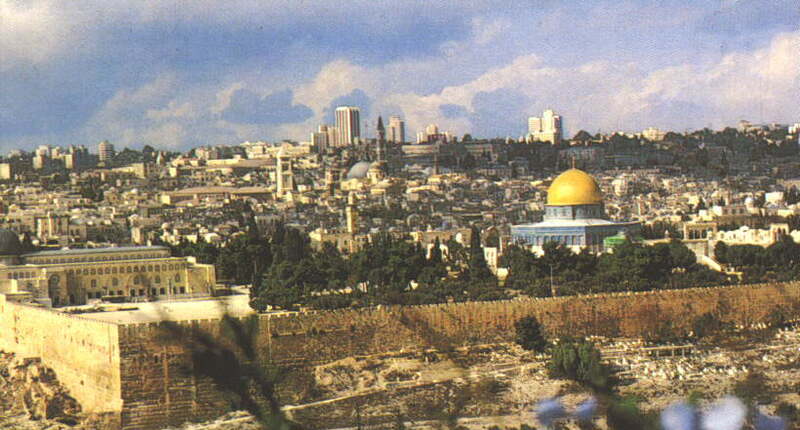 The report which was produced by the Macro Center for Political Economics and the Friedrich Ebert Foundation and presented to the Israeli Knesset to be debated said that despite the Israeli measures for many years to check the Palestinian population growth in Jerusalem, the rate of natural growth will be the determining factor and warned of Jerusalem becoming a bi-national city. The report added that despite land confiscation since 1967 the Arab population of Jerusalem is increasing and they could become a majority in 20 years time, especially that they constitute now 35% of the population, while they constituted only 25% 42 years ago. It was also pointed out that after the occupation of the eastern part of Jerusalem in 1967 Israeli occupation governments followed special policies that placed restrictions on Palestinians with regard to building and residence in the city to guarantee a Jewish majority and prevent the city from being devided. The report also pointed out that the main mechanism available to Israeli governments was the confiscation of land which is mostly privately owned, but it is doubtful that this was enough to ensure contiguous Jewish neighbourhoods. The area of land confiscated in east Jerusalem since 1967 totalled 24000 Dunums (35% of its area), the land was confiscated from its Palestinian owners to build Jewish settlements.